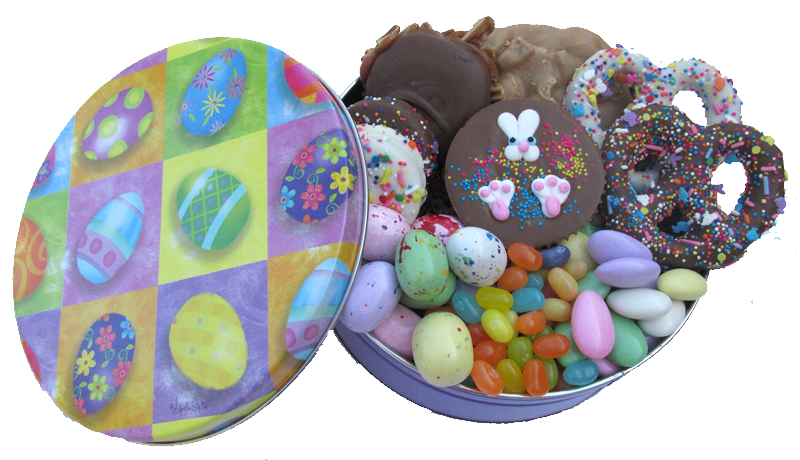 Click here to view all Easter Gifts! 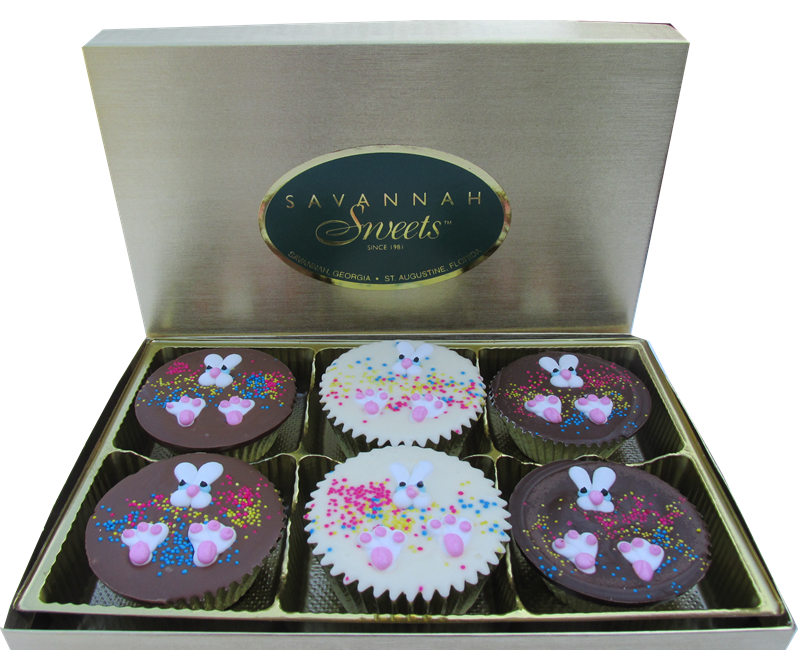 Welcome to Savannah Sweets, specializing in traditional southern candy and gifts, pralines, pecan candies, chocolate fudge, divinity and pecan logs. 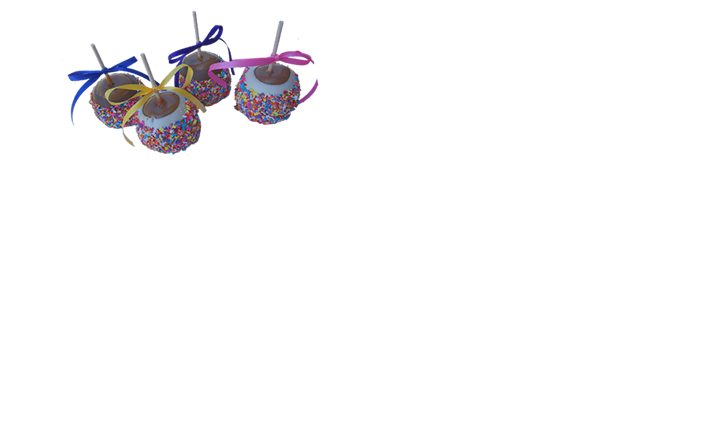 To find your favorite products, roll your mouse over the “Shop Categories” and “Gift Selections” menus above. 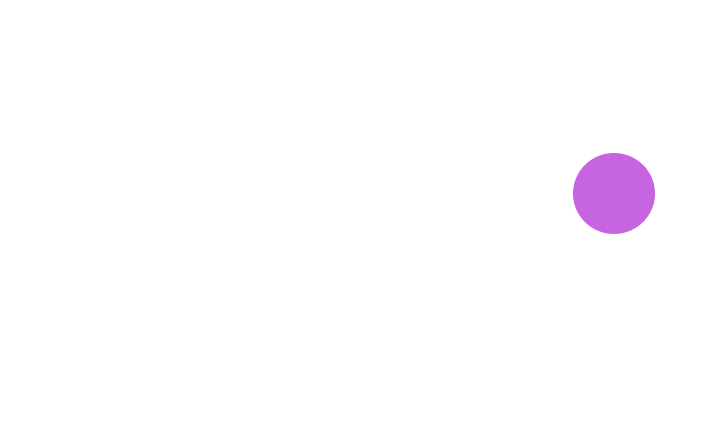 From the drop down, select the category of your choice. 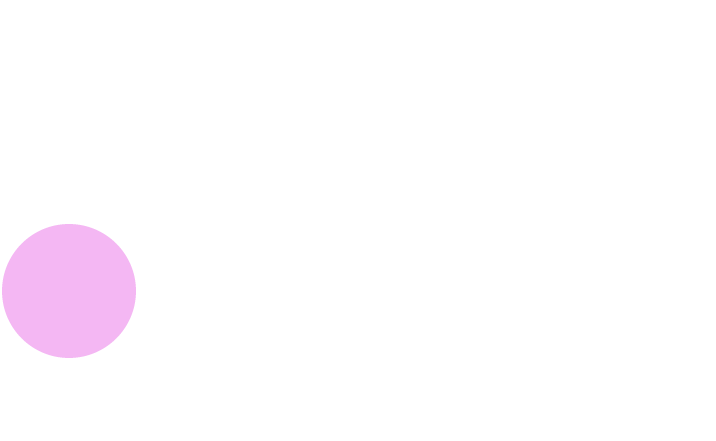 Our family-owned business began in beautiful Savannah, Georgia way back in 1981. 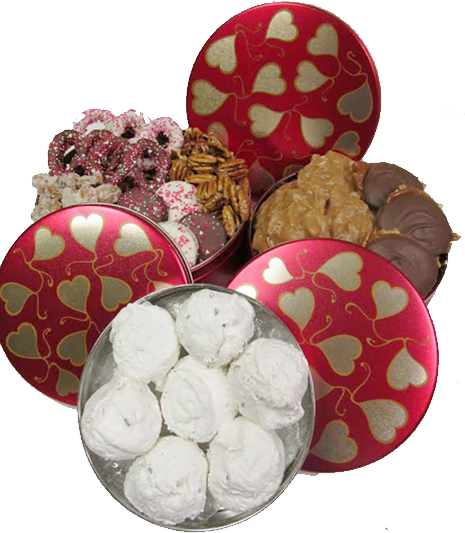 Our homemade candies are made fresh daily using the freshest creams, butter and sugar. 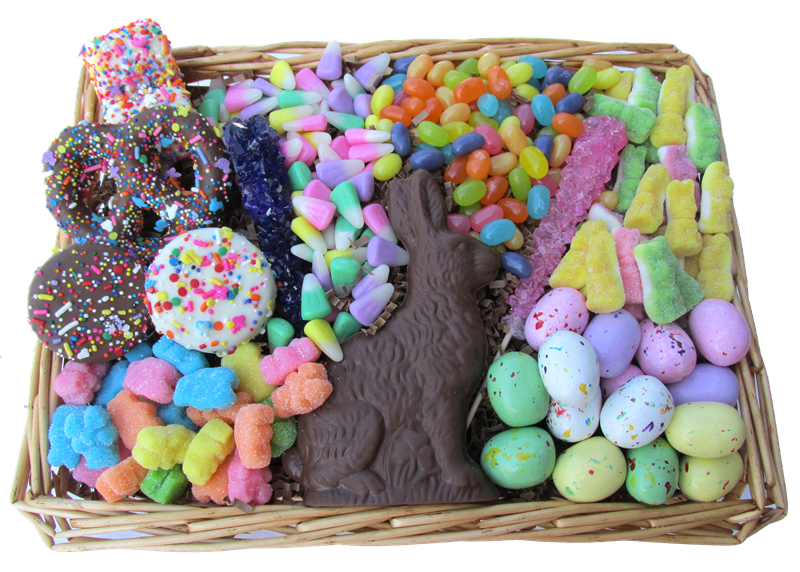 We specialize in pecan delicacies, traditional Southern candy and gift baskets perfect for family, friends and clients any time of year. 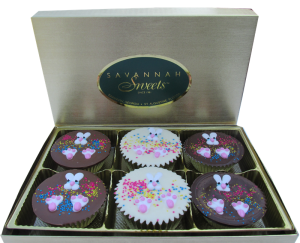 Locals, tourists and loyal customers around the country all agree, for quality products, superior service, and the very best in Pecan and Southern Candies, there is no better choice than Savannah Sweets. 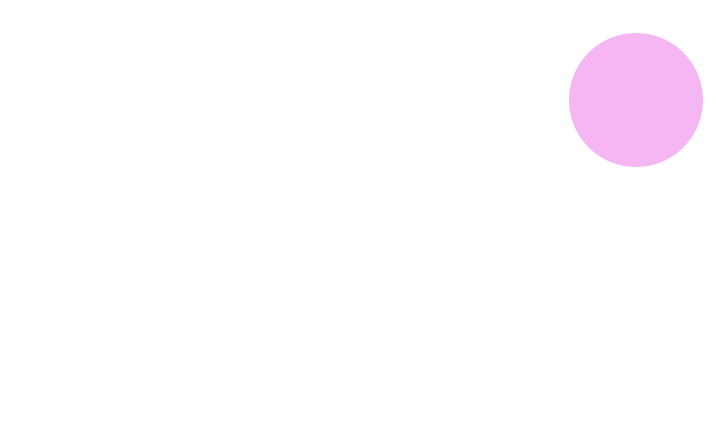 Your complete satisfaction is guaranteed. Enjoy! 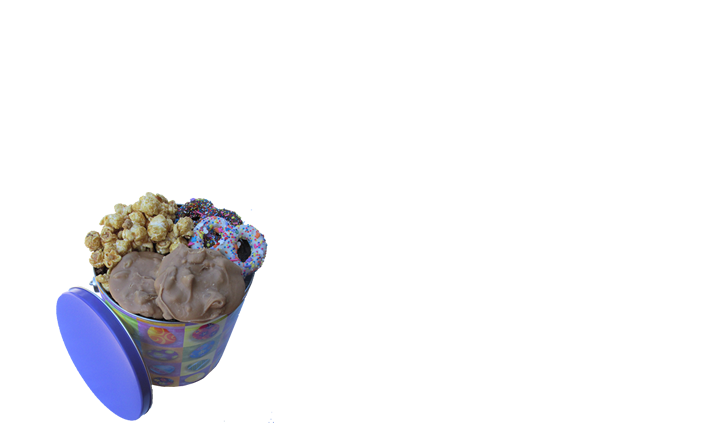 This one is made just for the kids. 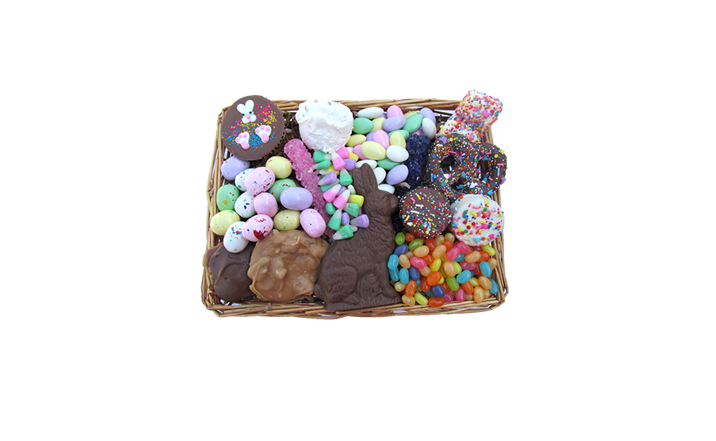 A wicker basket that includes a Milk Chocolate Easter Bunny, Milk Chocolate covered Marshmallow pop with holiday sprinkles, Milk and Pearl white covered Oreos, Beep Bright Gummy Bears, Speckled Malt Balls, Spring time assorted Jelly Bellies, Rock Candy, Chocolate covered pretzels, Sour Gummy Bunnies and Bunny Corn. Our Easter Apples will remind you of when you were a kid. 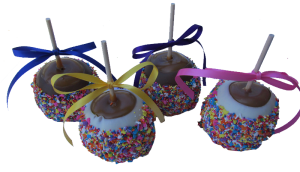 We take Granny Smith Apples, dip them in our creamy caramel and then decorate them in our own Easter. 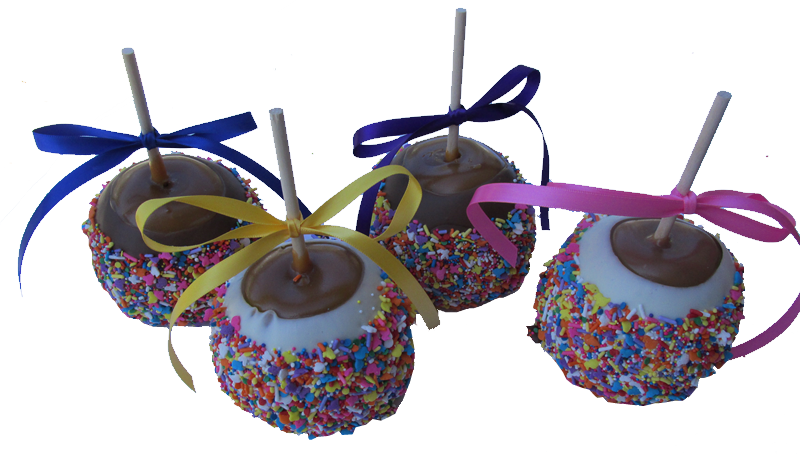 2 Pearl White and 2 Milk Chocolate apples are individually wrapped and place in a gift box. 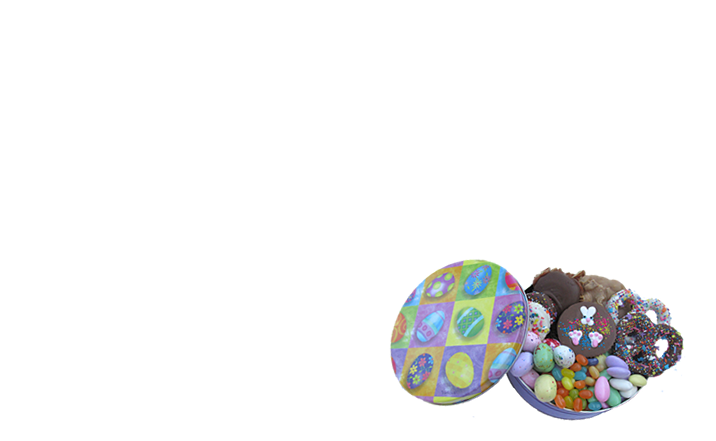 Easter Peanut Butter Cup, Speckled Malt Balls, Spring Time Mixed Jelly Bellies and Assorted Jordan Almonds. 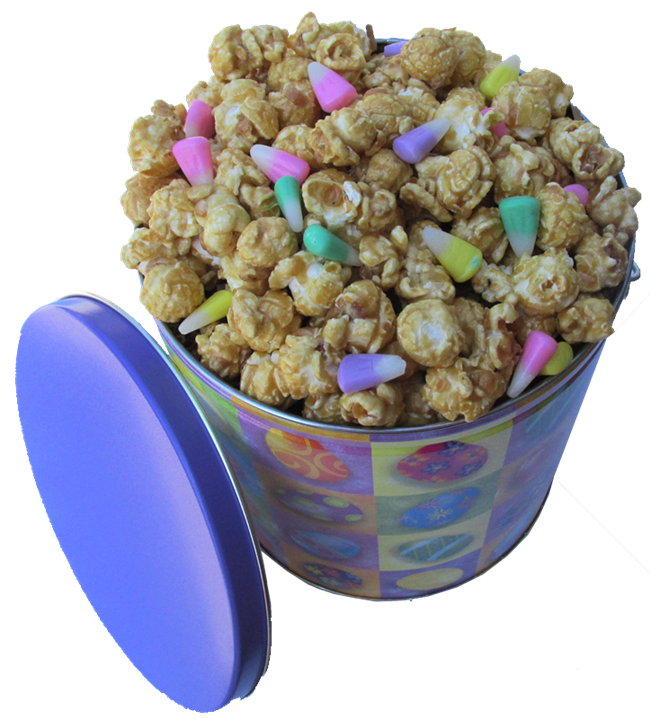 A decorative Easter 1 gallon tin fill with caramel corn and assorted Bunny Corn. 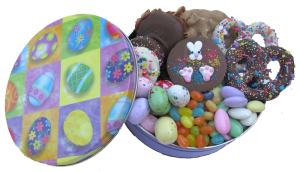 We take creamy Milk, Dark and Pearl White Chocolate and fill it with creamy Jiff Peanut Butter and top them with decorative Easter mix. 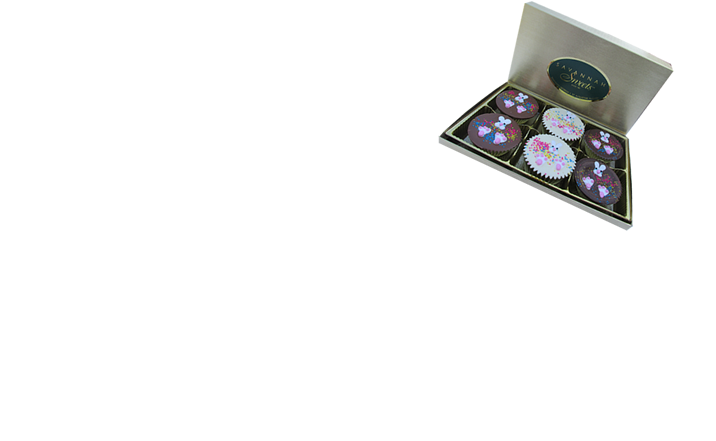 We pack two of each type chocolate in a gift box. Can’t Decide on a Gift? 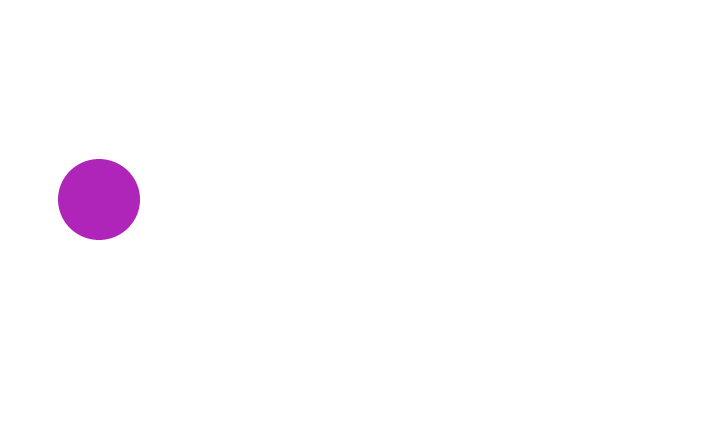 Contact us at 1.800.423.1314 about our Gift Certificates. 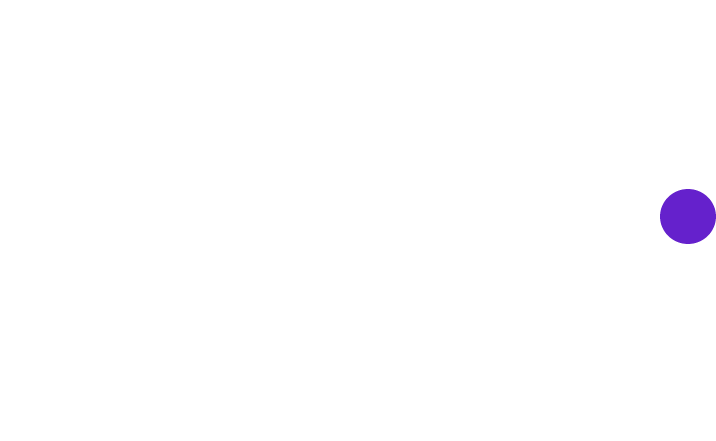 Minimum $25.00, in $5.00 increments, please.